If this CBI court verdict had come a week ago, before the elections in Gujarat and Himachal Pradesh, it would have had a huge impact and seen a different government come to power in those states. Dr Manmohan Singh, prime minister at the time, correctly flagged concerns which some operators had raised with the telecom minister. Second, the BJP needs to apologise for wiping out session after session of Parliament between 2010 and 2014, based on these totally presumptive and sensational C&AG numbers. As a member of the Joint Parliamentary Committee (JPC), which looked into the 2G non-scam and had the opportunity to cross-examine Vinod Rai on his report, it was fairly evident that the whole report stood on foundations of sand. That view was upheld in the JPC report tabled in Parliament in January 2014. The fact that the criminal court/the Special CBI court has after scrutinizing all the evidence on record, taking into account the views of both the prosecution and the defence, has concluded that none of the accused was guilty as charged, clearly establishes that neither was the UPA’s 2G policy flawed nor was there anything incriminating in it. If this verdict had come a week ago, before the elections in Gujarat and Himachal Pradesh, it would have had a huge impact and seen a different government come to power in those states. Be that as it may, the entire foundation of the BJP-NDA government has been underpinned by a systematic campaign of calumny, innuendo and downright lies, of which the 2G affair was the cornerstone. The C&AG report and the subsequent criminal proceedings which were launched by the CBI and the Enforcement Directorate became the cannon fodder of the BJP campaign in the 2014 elections. Between 2010 and 2014, the so-called “scam” dented the image of the UPA government, impacted the India growth story, besmirched the reputation of India and its leadership, led by Dr Manmohan Singh, and destroyed the lives of several innocent people. Fact is, people in India repose enormous trust and faith in constitutional authorities, of which the C&AG is one of them. It is one thing for political opponents to allege malfeasance, but when a constitutional authority indicts you, its implications are completely different. As head of the C&AG, Rai’s indictment of the UPA caused incalculable harm. In fact, this CBI judgement also calls into question all the other reports that Vinod Rai wrote, including the Antriksh Devas report. There should now be an independent audit of all Rai’s reports, because they were inspired by malicious intent. It has always been clear to us, and is now clear to the people, that the C&AG advertently or inadvertently, became a cat’s paw between the telecom operators who had got their licences for a paltry sum in 1994-95 and those who had got their licenses in 2001 for Rs 1561 crore, and did not want new independent operators entering the market in 2008. Dr Manmohan Singh, prime minister at the time, correctly flagged concerns which some operators had raised with the telecom minister. 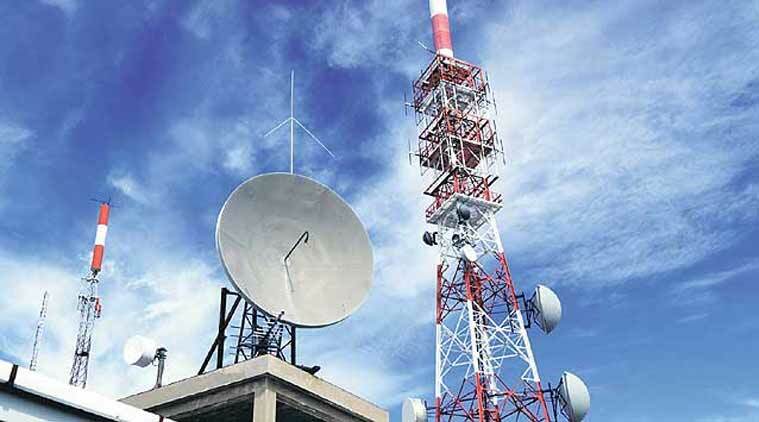 But even he didn’t realize that the entire effort was not about prices of spectrum in 2008, but about derailing the UPA’s equitable policy of allowing new operators to enter the market. The C&AG absolutely derailed the India story. India had withstood the global financial meltdown in 2008, but it was not able to withstand the machinations of corporate giants a couple of years later. If the BJP has conviction of courage, it should go back to the people and seek a fresh mandate. Given the fact that the CBI verdict establishes little doubt that a fraud of gargantuan proportions was perpetrated on the people of India. Going forward, this verdict will completely change the dynamics of the political discourse. No longer will the BJP be able to take refuge in the UPA’s alleged “scam” narrative to win influence and power. In fact, the dismissal of the CBI special court will focus special attention on the BJP’s critical governance failures over the past three years and put new fight into the Congress to tackle any and all coming elections free from the spirit of malfeasance. As told to Jyoti Malhotra.